The international Jury of the Print Triennial Kraków 2015 (Stephen Hoskins,Uk; Alicia Candiani, Argentina; Vladimiro Elvieri, Italy; Krystyna Piotrowska, Poland and Lars Yeudakimchikov-Malmquist, Sweden) selected 105 finalists from 1105 submission from all over the world. From the UK only two artists were selected: our colleague from UCLAn Peter Clarke and myself. The project attempts to captures the unique sonic identities of the 12 cities travelled through, searching for similarities and differences. It acts as a personal and subjective audio travel guide and a clock for the journey, mapping the movement through geographical locations over the passage of time. The artist captures the city with binaural microphones; two microphones are worn in her ears as she moves through the city giving a personal time space perspective of the city soundscape. The unobtrusive microphones also bring the artist passing snippets of unguarded conversations interwoven with the unique sonic footprint of the city. 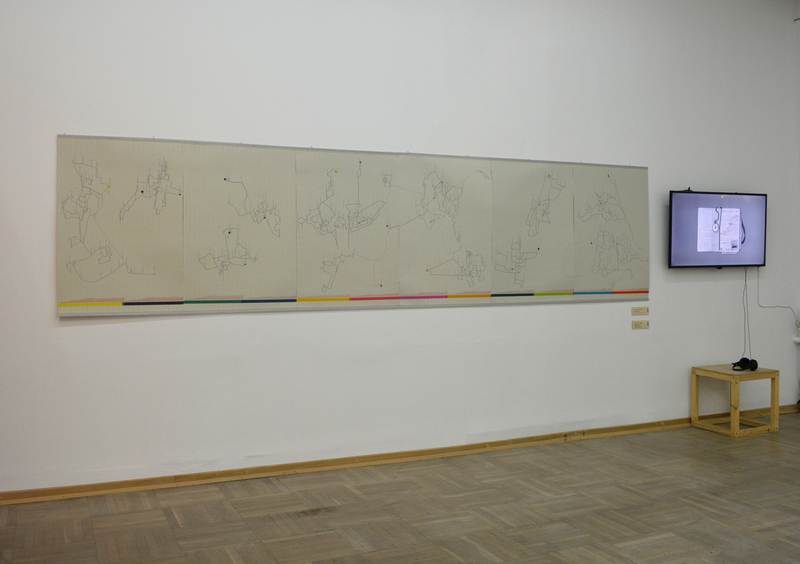 The language recorded on the streets, stations, town squares and cafes is an important element of the piece; marking the transition from one country to another, it serves as a spatial and temporal reference for the traveler in a borderless Schengen Europe. The structure of a 12-hour clock forms the basis of the immersive multichannel sound installation. 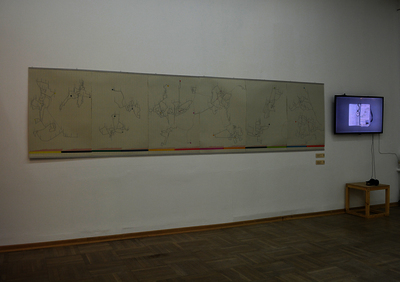 In this 12 hour-long composition, the times of the recordings are synchronous with the real time of the installation’s location.